Share your photos and videos with us while on tour. It’s easy – upload the photo or video to your own social media account. 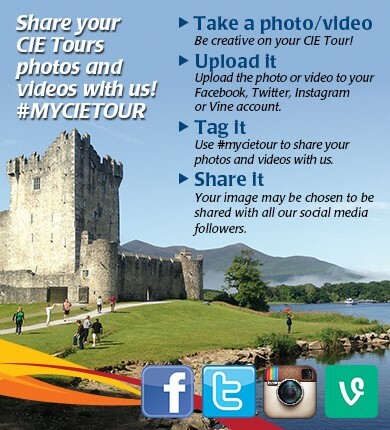 Hashtag it with #MYCIETOUR and let us know where the photo or video is from and which tour you are on. We will choose photos regularly to feature on our CIE Tours social media pages. If there are people in your image, make sure you have their permission to post the photo or video before hashtagging it. Enjoy your tour.